NEWINGTON - Coming into Thursday night’s matchup against Berlin, the Newington girls volleyball team knew it had already been challenged more than its opponent and one the Indians expected to win. A big reason behind those expectations is the strength of schedule Newington had played coming into it. The Indians have already faced four double-digit win teams in Southington (12-0), Bristol Eastern (11-1), RHAM (11-1) and Tolland (13-2). All four are some of the top teams in the state and facing the highest level of competition is an emphasis for the Indians. Beating those programs, however, is another thing. The Indians only won three sets combined against the four and lost in straight sets against both the Blue Knights and the Sachems. But it’s more than just the win/loss impact that matters for Newington when facing those types of opponents. The most recent of the four matches came against the Lancers on Oct. 5, a 3-1 loss for Newington, although the Indians played well. Winning one set against the Lancers and two against Tolland are signs of a program that can be competitive with the best teams. 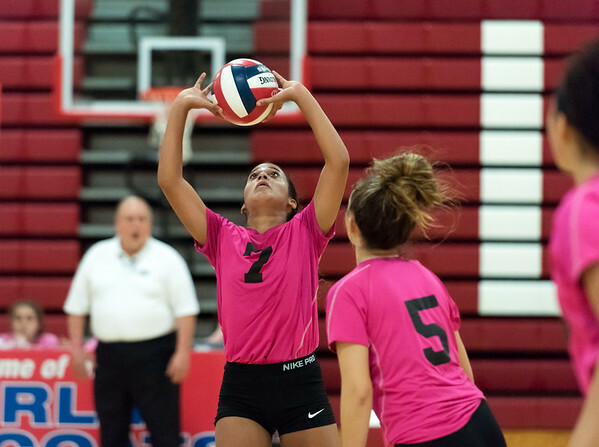 Its most recent win against Berlin clinched a postseason berth for the Indians but they will look to use the matches against Bristol Eastern, Southington, RHAM and Tolland to their advantage. Posted in Newington Town Crier, Newington on Friday, 12 October 2018 20:57. Updated: Friday, 12 October 2018 20:59.